Loved this Sci-Fi world this author created! Now I do not recommend reading this as a stand alone like I did because I was honestly so lost through some parts of this book. So I would definitely recommend reading the 3 books in this series before this one first. 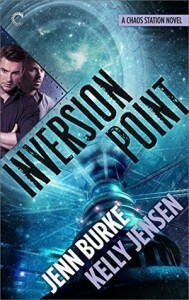 But other than that you get Aliens and so much action in this book along with the love this two men have for each other. Zander and Felix fit so well together and I loved the way this author wrote these two characters. This author had me on the edge of my seat through this whole book and even though I was confused I loved the way this story unfolded and you also meet a lot of different characters too. Sci-Fi romances like I do I would definitely recommend this book! Until then, she plans to keep reading, writing about reading, and writing stories of her own.